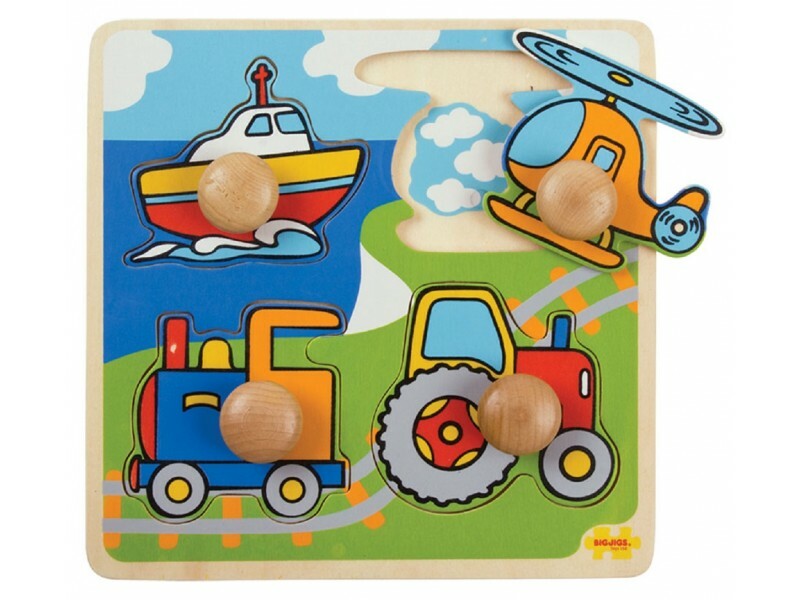 Our transport themed four piece wooden peg puzzle for children aged around 12 months is perfect for learning all about vehicles. The wooden base board of the puzzleis printed with images, such as water for boat, to aid the learning process and add educational value. Size: H20cm x W20cm x D1.2cm. Perfect for little fingers to manipulate and use as they have larger 'knobs' rather than small wooden pegs which can come later as the child grows. 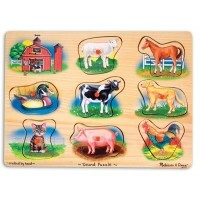 Excellent quality wooden toy! My little boy loves it. Top quality item and fast delivery, very pleased.